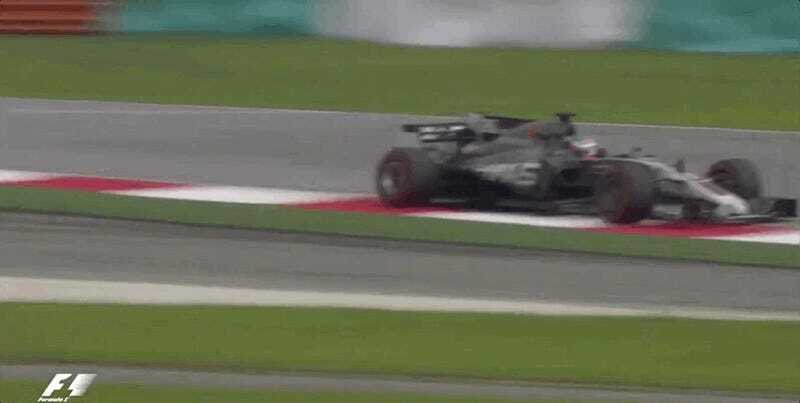 A drain cover came loose during Formula One’s second practice session for the Malaysian Grand Prix on Friday, slashing Haas F1 driver Romain Grosjean’s tire and sending him straight into a wall. The cost of repairing the car is creeping toward $1 million, and it sounds like the team isn’t happy about the bill. Autosport reports that the Haas F1 team and Malaysian Grand Prix officials are in talks about compensation for the damage, which F1’s governing body, the FIA, believes was due to a “welding failure” on the drain. The faulty part of the track made officials call off the remainder of practice, and the FIA made engineers at the circuit check and strengthen every drain cover before final practice began. F1 gave the Haas group a pass to work on the car past series curfew that night without it counting against them, but extra repair time didn’t cut it for the team. F1 broadcaster James Allen tweeted a few days ago that damage estimates were between $700,000 and $1 million, and Autosport reports that the latest estimate is around £500,000. That’s $662,063 at current exchange rates. 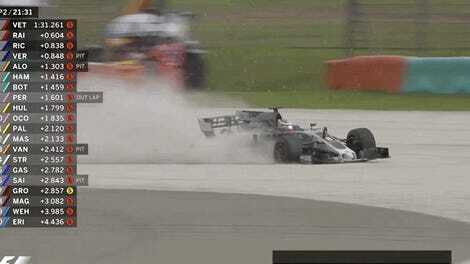 Speaking about the incident, Steiner said: “It was completely out of our hands. “I cannot say - ‘oh, OK, we now let, let’s say, three quarters of a million [dollars] go because somebody forgot to weld something in, it’s all good’. “We pay to come here, we pay a fee to come here, everybody has to pay. “We discussed it and they were very professional about it. Ouch. Yeah, that is a lot of cash to drop for someone else messing up a welding project.